With Palmetto Shutter Company, you get a custom-built shutter every time. Our shutters are made to your exact measurements which ensures you get the proper look whether you are covering a standard size window, French doors, arch top windows, or another type of specialty opening. With a custom-built shutter, you get a custom finish and custom hardware on every panel. We offer a variety of louver sizes, finishes, divider rails, framing options, and hardware selections. You can choose from 2 1/2", 3 1/2" and 4 1/2" wide louvers along with a variety of divider rail options to accomplish your desired look, light control and privacy. 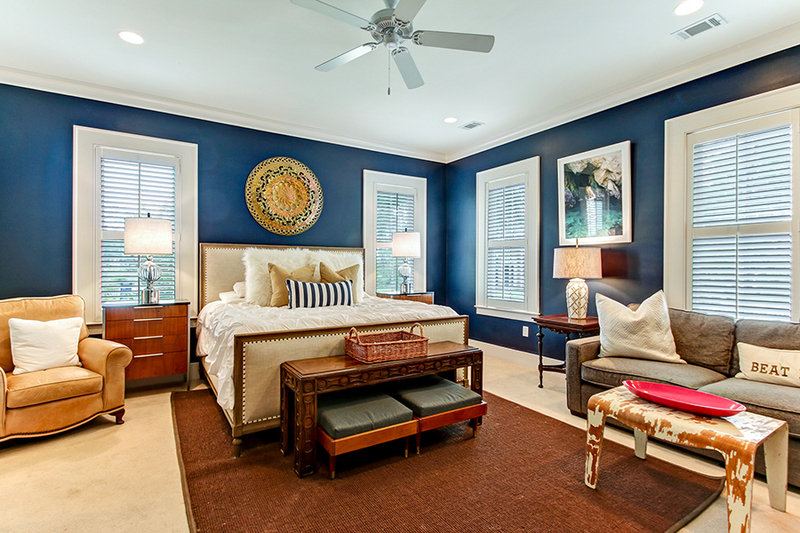 We custom match the paint color of each shutter to the exact color of your wood trim. We also offer custom matched stained shutters. We offer more than 20 different kinds of shutter hinge styles and colors. We carry hinges to match your shutters or the rest of the hardware in your home whether its oil rubbed bronze, antique nickel, white, brass, satin chrome or another finish. At Palmetto Shutter Company, we're much more than shutters. We offer a complete line of blinds and shades, including wood blinds, faux wood blinds, cellular shades, woven wood shades, roman shades, sheer shades, and solar screens. A wide variety of product designs with fabrics and materials that range from opaque to sheer put you in control of your natural light and privacy. Choose from a wide variety of lift options including cordless manual and motorized operation systems, retractable lift cords, and wand controls. Enjoy innovative wireless options that allow you to control and schedule your window treatments from your preferred device or a remote control. Because we offer a full line of window coverings from a variety of manufacturers, we offer products that fit any budget. Choose from a wide variety of brand name manufacturers including Hunter Douglas, Caco, Vista and others. 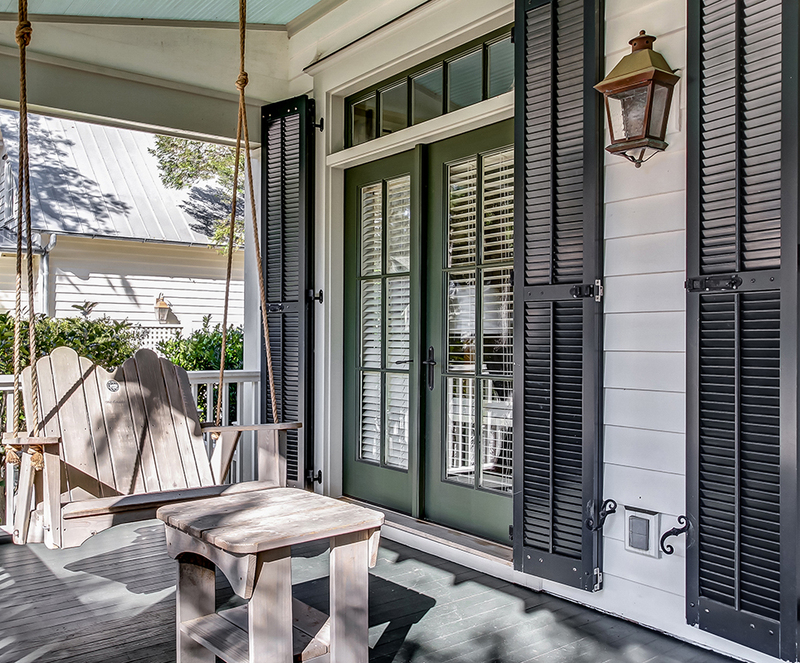 At Palmetto Shutter Company, we believe that nothing completes the exterior look of a home more than beautifully, hand-crafted historical shutters. That's why we offer a complete line of exterior shutters that reflect the highest quality craftsmanship, finest exterior grade wood, and time-honored designs. Choose from raised panel, recessed panel, flat panel, fixed louver, Bahama, and board and batten all available in custom sizes to match your precise specifications. We also offer durable wood composite shutters to provide you an alternative choice, while offering you the look and feel of a traditional wood shutter. To make your exterior shutters operable or give the appearance of operable exterior shutters, we offer an extensive line of quality hand-forged exterior shutter hardware and accessories. Stainless steel and wrought iron exterior shutter hardware includes "S" holdbacks, strap and blind hinges, locks, pull rings and slide bolts.